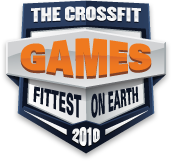 Brandon Phillips qualified for the CrossFit Games with a second place finish in the Southeast Regional. 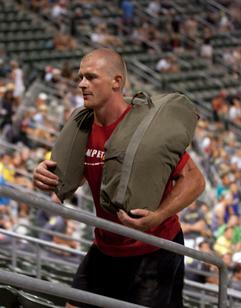 He was sitting pretty at the HDC for 3 events, until a tough break in Event 4 knocked him from the top 5. In an interview with Sevan Matossian, Phillips exhibits the attitude of a true competitor. 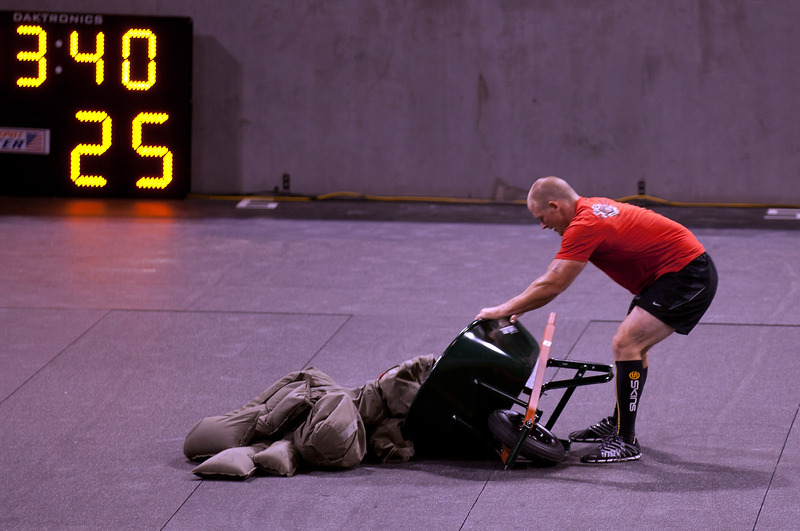 He explains the events that led up to his wheelbarrow malfunction, and how he rallied to finish the workout regardless. 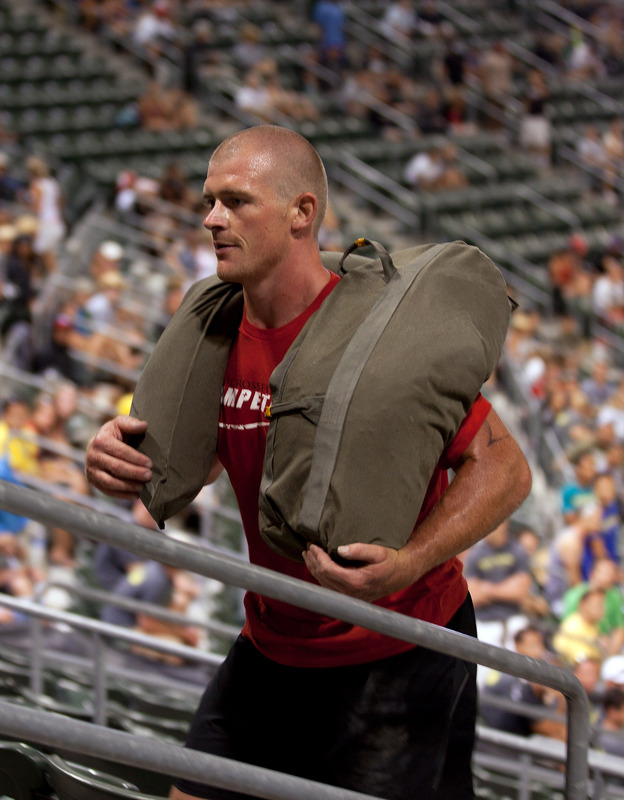 The support of the crowd and his fellow competitors motivated him to the finish line. In a parting shot, Phillips exacts some revenge on the wheelbarrow that betrayed him. any chance you guys can put up the missing footage from the Friday night of the games 19:00-20:00? 21 August 2010 / 10:08 p.m.
Finishing that event showed class and perseverance through frustration. I speak for a lot of Crossfitters here at the Marietta Fire Dept. We were rooting for you. If you ever want to join us for a non traditional WOD just stop on by. No wheelbarrows, I promise. 25 August 2010 / 6:15 p.m.